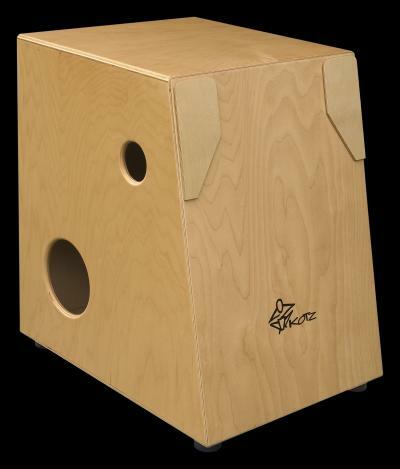 Another Kotz innovation; the ergonomic angle facilitates a more comfortable playing position while the construction design offers deep "tight" bass tones that really project. The dry yet tonal sound offers percussionists an extremely versatile instrument for both live and recording applications. This one features lots of punch with less residual overtones. 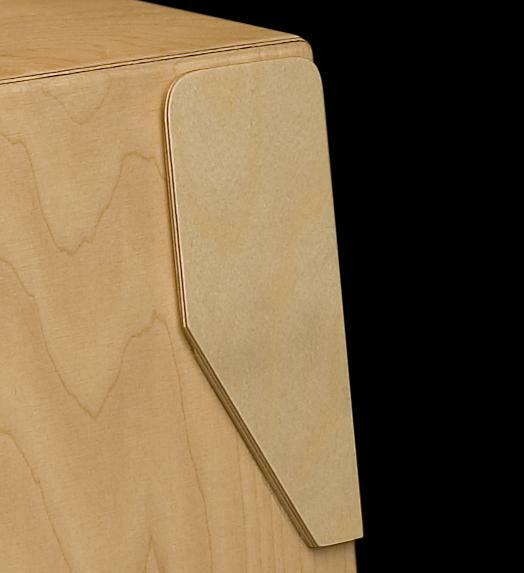 This version of The Wedge™ features a pair of Slap Pads™ mounted near the top edge of the front playing face. They add a unique high pitched slap which can be used to simulate a snare back beat, the cascara, rhythmic accents, and endless other possibilities.